All fish can potentially suffer from constipation, regardless of the type of diet they are fed, and goldfish are no exception. 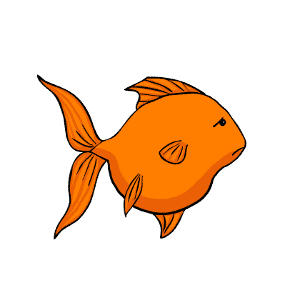 As goldfish are prolific eaters, constipation is one of the more common problems they face. So, if you’re wondering how to tell if your goldfish is constipated – and what you should do about it if so – then read on to learn more about constipation in goldfish. Constipation is a blockage of the digestive system, which makes it difficult or impossible to pass feces naturally and comfortably. The blockage usually occurs in the bowels or intestine, and will form a hard mass of compacted waste that the goldfish cannot expel from the body normally. This leads to extreme discomfort and in chronic cases, can even cause death. You can usually identify constipation in goldfish by the appearance of the fish; they may appear physically bloated, and may also be trailing a string of feces behind them that does not drop off as normal. They may also have problems swimming normally, and appear very lethargic, as well as losing their interest in food and possibly showing signs of discomfort. What causes constipation in goldfish? Generally, constipation in goldfish (as with other animals) is caused by feeding a diet that is not completely balanced, and lacks enough roughage or dietary fiber. Fiber is important to help the metabolism to keep moving, and to bind the food so that it can be passed naturally. 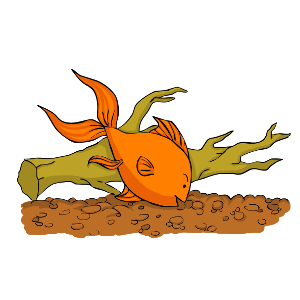 Goldfish that nibble live plants within the tank will rarely suffer from constipation, and it usually occurs in fish that are fed a diet high in protein with not enough roughage. 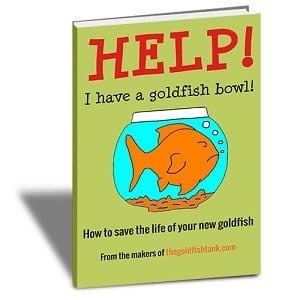 How can constipation in goldfish be treated? Generally, constipation in goldfish can be resolved by upping the amount of dietary fiber in the diet and promoting the consumption of greenery and roughage. You should stop feeding your fish pellets or flake food while you resolve the issue, and concentrate on encouraging them to eat plant matter and greenery. Tinned peas (sugar and salt free) are a good product to feed to a constipated goldfish, as they have a gentle laxative effect. If your goldfish is not eating at all due to constipation, you may need to isolate the affected goldfish and add a dose of Epsom salts to your hospital tank at the rate of 1-3 teaspoons per 5 gallons of water. This relaxes the muscles and aids in the passing of feces. 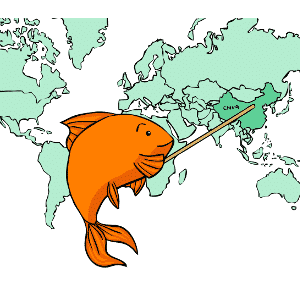 Where do goldfish come from?